Established in 1980, CMV Farms is now diversified across three crops and operates properties in multiple regions around Australia. 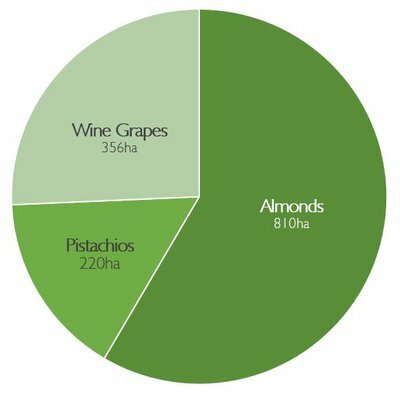 Farming over 1,300 hectares across almonds, pistachios and wine grapes, our focus is to remain key growers in each industry with interests at each stage of the supply chain, whether that be through strong partnerships, wholly-owned businesses or key shareholder interests. At CMV Farms, we are committed to supporting and developing our regional communities as well as our surrounding environment. Our properties have significant plantings of native vegetation. This provides corridors of vegetation to assist the movement of native animal populations through the properties as well as providing wind breaks which helps prevent the erosion of top soil in bare, especially sandy land. Through the CMV Group Foundations, we keenly support individuals in need and community groups around our regions.